ARE YOU COMPETING IN MOTORSPORT AT ANY LEVEL? Across both days, MsD.LIVE provides a panelled conference, which allows you the unique opportunity to gain expert advice and interact with some of the industry’s most established names and brands as well as offering support across all areas of the sport. 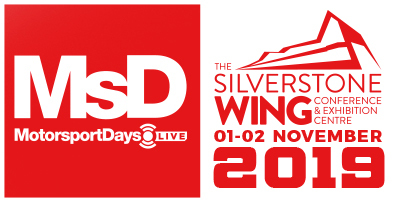 MsD.LIVE delivers in-depth sessions that will benefit you, including “Sponsorship & media engagement”, “Marketing and social media”, “Race & track day tuition”, “Technical setup”, “Simulator Training”, “Health & Fitness” and “Sports Psychology” to name just a few. MsD.LIVE exhibition features a diverse range of industry exhibitors to get you prepared and ready for your next race season. Held in the halls of The Wing facility (above the garages), this includes everything from competition parts and supplies, to technical products and services. Source the latest car parts, products and race wear to give you everything you need to be better equipped on track. The most exciting element of MsD.LIVE is the track time on Silverstone’s famed International Circuit.  This allows you the unique opportunity to get behind the wheel of numerous championship vehicles during the peak decision-making period at the end of the race season. Deciding what to drive in 2019 just got easier, with over 40 of the Wing pit garages full of various championships, track day organisers, manufacturers and independent race teams all running in a range of amateur and professional UK and European championships. Test drive your next car on the track and confirm your grid slot, seat, or arrive and drive package for the following season. A limited number of exclusive feature garages for photography and showcasing purposes will be available to drivers and teams on both days, allowing you to maximise your marketing strategies for the following season. Discuss your options and network with championship organisers, track day promoters, engineering and technical companies, safety advisers and insurance providers, car manufacturers, sponsors, lifestyle goods, race teams and more in our “Championship Lounge” on the exhibition floor.